Tired of the classic gold band? 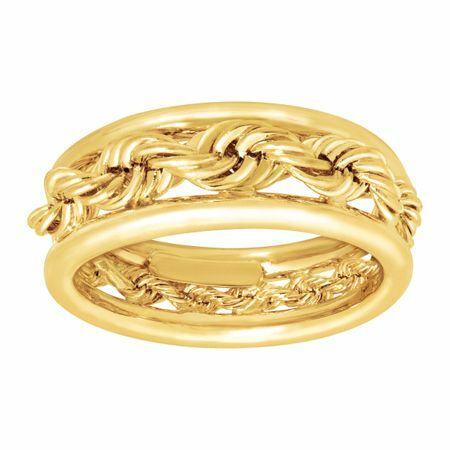 This unique band ring is embellished with rope detailing, crafted in 14K gold. Ring face measures 1/4 inches in width.